Our voice is our primary means of communication. It’s free! It’s essential pre-programmed hardware that most of us are lucky enough to have included in our life package. Yet how often do we check around for ‘updates’, ‘plug-ins’ and ‘accelerator’ software that will give us the edge in our professional and social lives? 99% of us spend more time putting the key into the front door (a daily occurrence) than we do working to improve our most powerful communication tool – our voice. 99% of us spend more time choosing a new paint colour for the kitchen (once every two to eight years) than we do working to improve our most accessible communications tool – our voice. The former is practical and essential; the latter is a creative, mood inspiring whim. Voice work is both practical and creative – so whatever kind of a person you are, there are no excuses! If you want that extra edge when applying for a new job, going for promotion or presenting to the shareholders, why not give your Voice a well-needed update? A Leader’s Voice can inspire, stimulate and re-assure. A Leader’s Voice can influence, guide and support. A Leader is a person who can effectively communicate their own or their company’s goals. Poll Moussoulides is Ireland’s leading Voice and Vocal Communications specialist. Since being Head of Voice at both the Gaiety School of Acting and the Drama Faculty in Trinity College Dublin, Poll has spent the last 15 years coaching people how to maximise the effectiveness of their natural voice. He has coached multi Oscar award winning Actors, Chief Executives of large corporations, Telephone Counsellors, Politicians, News Readers and Teachers. In fact, thousands of people who have sought to get a leadership edge. “Gone are the days of ‘how-now-brown-cow’ ”, Poll explains. “By using the principals of Performance Training, we have created practical and wholly attainable methods for all to communicate with greater physical confidence and vocal expertise. 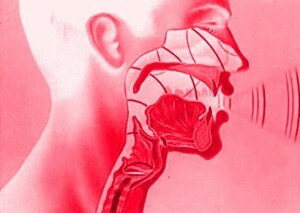 A few minutes a day will improve your vocal health, and bring dramatic improvements within weeks. Poll’s ‘Vocal Fitness For Life’ Course is the ideal way to kick start the voice back into action. As the only course of its kind in Ireland, participants are inspired to actively change their vocal habits, and feel more confident about how others perceive them. An interactive, challenging and enjoyable day, with immediate results.